Here are some of the kids activity pages. They each include a bit of a sales message, but nothing as insidious as "Be sure to drink your Ovaltine!" 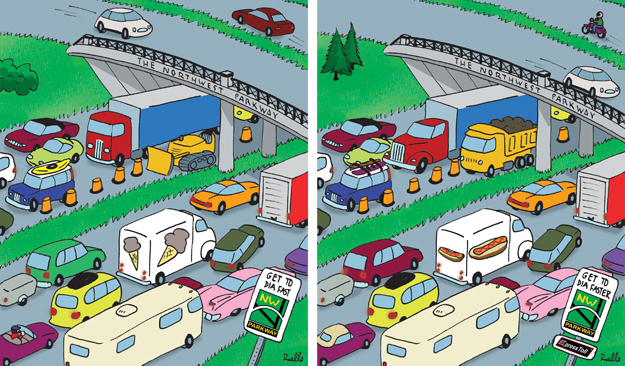 On this one, you are supposed to find 10 differences between these two illustrations. 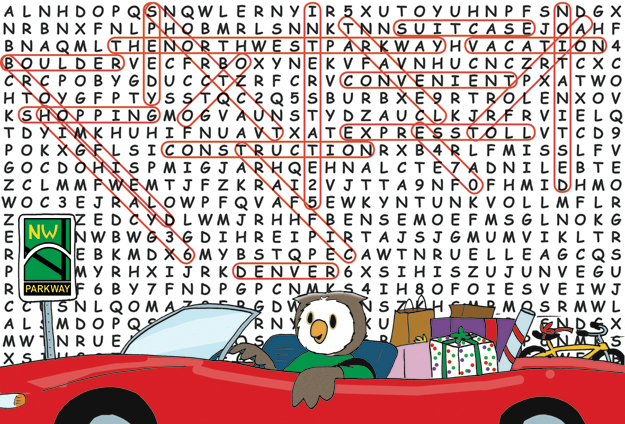 This word search is configured so certain words fall roughly where they would on a map of the Denver/Boulder area. 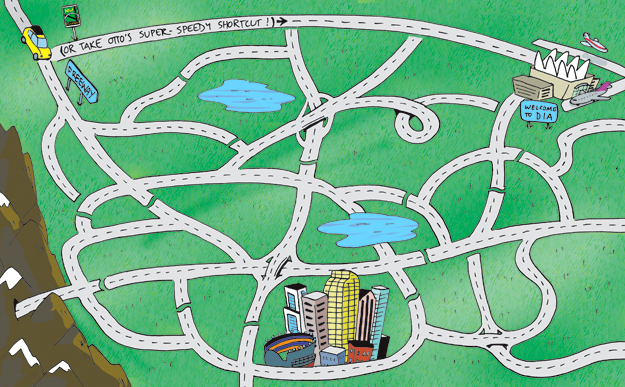 It includes words like "speedy" "convenient" near the top, where the Parkway would be, and "traffic" and "construction" where other routes would be. This took longer to create than the average cartoon. I also hid my name (as well as other family members and pets) in the puzzle. This roads on the maze roughly follow the roads from Boulder to Denver to the Denver International Airport. Sort of. This activity page was in black and white so kids could color it. 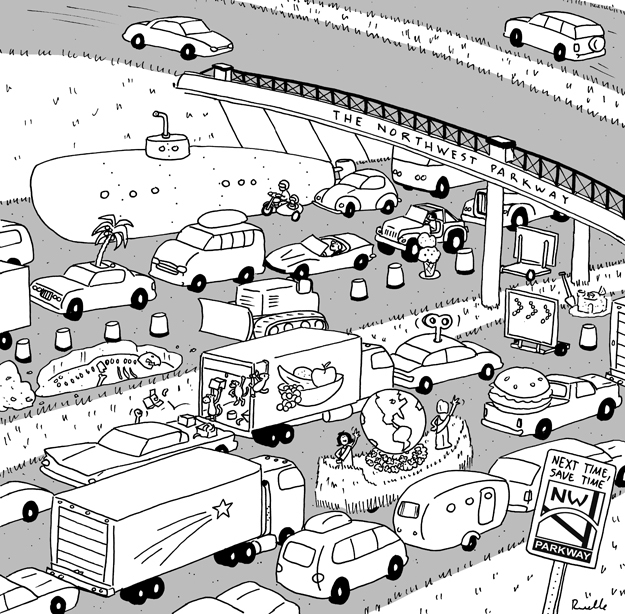 Can you find: Dinosaur skeleton, submarine, parade float, ice cream cone, dog driving, monkey riot, sand castle, toy car, giant hamburger and the faster way to the airport?